In reaction, Viktor Orbán said allegations by the businessman had been motivated by “spite”. “Facts speak for themselves; all the information is available,” Orbán told journalists on Monday. He said it was “sad” that “personal grievances can make someone stoop so low”. 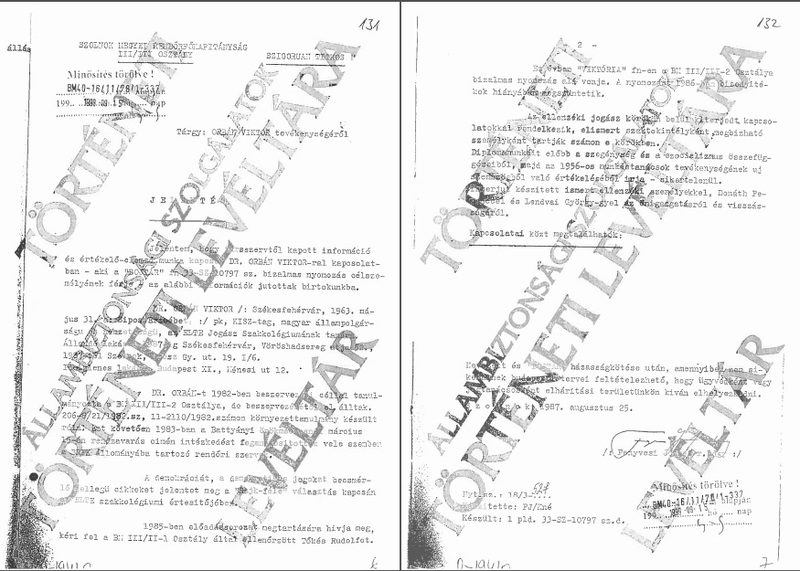 The cabinet office released documents showing that Orbán had been asked to report to the authorities but had refused. Orbán stated that he and his wife and then opposition friends had been put under surveillance in the 1980s. “They used all kinds of secret service tools against us. We were under surveillance, tailed by intelligence, wiretapped at our workplace, in our homes and even in our bedrooms,” Orbán said. Opposition parties called for parliamentary committees to be convened over Simicska’s remarks. Zoltán Lukács of the Socialist Party (MSZP) said that Simicska’s “gravest statement” was that documents supposedly proving Orbán’s enrolment in the secret services are kept by the Russian authorities. If this were the case, Hungary’s sovereignty could be compromised since it could be blackmailed by Russia, Lukács insisted. Democratic Coalition (DK) politician Ágnes Vadai noted that Simicska had been Orbán’s room-mate in college and “these are the words of his best friend”. The suspicion arises that the most anti-communist politician of the past 25 years could have been a communist snitch before the regime change,” she added. The opposition LMP party called on Orbán to appear before parliament and clarify the matter. LMP’s co-leader András Schiffer said Fidesz should support an LMP motion at the justice committee concerning the public disclosure of state security files. Further lawmakers should oblige the government to take action to ensure that Russia makes KGB files concerning Hungary between 1944 and 1991 available. The radical nationalist Jobbik party called on Orbán to resign unless he could refute Simicska’s accusations. Viktor Orbán and Lajos Simicska met while attending the same secondary school in Székesfehérvár, central Hungary. Simicska had played a key role in Fidesz operations. 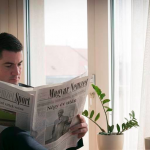 In February Lajos Simicska declared a “total media war” in the wake of the government decision on the tax on advertisements which affect Simicska’s media interests.